If you have back pain please read our guide on acute management first, it forms the basis of this article. To benefit from this post ideally you have low back pain without referral of pain into the legs or pins and needles/ numbness. If you have leg symptoms or severe back pain consult your GP or Physio for further guidance. Back pain has multiple potential causes, many of which are unconnected to running. Much of the back pain people get comes under the broad category of Non-Specific Low Back Pain (NSLBP). What that means is that rather than having a specific diagnosis (e.g. Like ITBS or tendinopathy) it comes under a more general term. It's a little like 'shin splints' which gets used to describe a whole host of shin problems. With NSLBP we often look at it in terms of what physical issues you have, and once again, the big three come into play – movement control, range of movement and strength. If you have good movement control, full range of movement in the spine and good strength in the surrounding muscles it's much less likely you'll have pain. We'll look at this in two sections 'spinal movement' and 'lower limb control'. The spine is a strong, stable structure made up of 33 vertebrae. It's designed to move a small amount at each of these. Poor co-ordination of movement can lead to increase stress on certain levels or on certain muscles and this can lead to pain. You can't see you own back (obviously!) so trying to assess your own spinal movement control is very difficult. There are a few simple movements you can try and see how they feel. Can you do them easily? Can you do them slowly? If you feel your lower back with your hands as you do them does the movement occur there? Arching/ flattening lower back in 4 point kneeling – try and get the movement occurring in your lower back not mid/ upper back. This video actually shows a lot of upper back movement but the principle is there. 'Waiter's bow' – the idea with this is to maintain a small arch in your lower back as you flex forward. It tests the control of back extensor muscles. If you find these movements difficult then use them as an exercise. Focuss on control and comfort rather than reps.
Control of leg movement will have a huge effect on spinal position and visa versa. 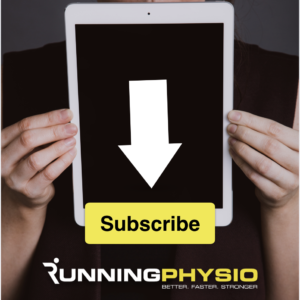 Research has suggested weak trunk control can cause patellofemoral problems and many people believe that 'core control' is an essential component in lower limb stability. Check your single leg balance and single knee dip control. Look out for excessive movement of the trunk, hip or knee. Details of how to do this, and balance exercises to use can be found here. There are a selection of range of movement exercises you can try here. Strength in this case links closely to control and range of movement. Pure force production isn't usually the aim, rather having adequate strength to allow controlled, comfortable movement. Back extensors – can be strengthened by prone extensions – lie on your stomach with a pillow or 2 under your waist. Place your hands behind your head. Lift your head, neck and upper chest off the bed by extending your lower back. Glutes – lots of info here on glutes exercises. Quads – quads can be strengthened using squats, single leg dips, leg press, leg extension machine or a number of other exercises. When doing strength work it is important to start slowly and gradually build up and try and maintain a controlled, comfortable technique. Final thoughts: use some of the movements above to find out whether it's control of movement, range, strength or a combination of things you need to work on. It often helps to do a couple of exercises working on each. Back pain can be complex and usually responds well to a customised exercise programme from your Physio or health professional. As ever on RunningPhysio if in doubt get it checked out.